The Powder room continues to be the room we express a lot of WOW when it comes to design & building new homes, clients want these spaces to be something different and not so typical. After all it is the most used bathroom in the home.. This Powder room is outstanding, it features the incredible Gessi Goccia tapware in black with a ceiling mounted basin spout. 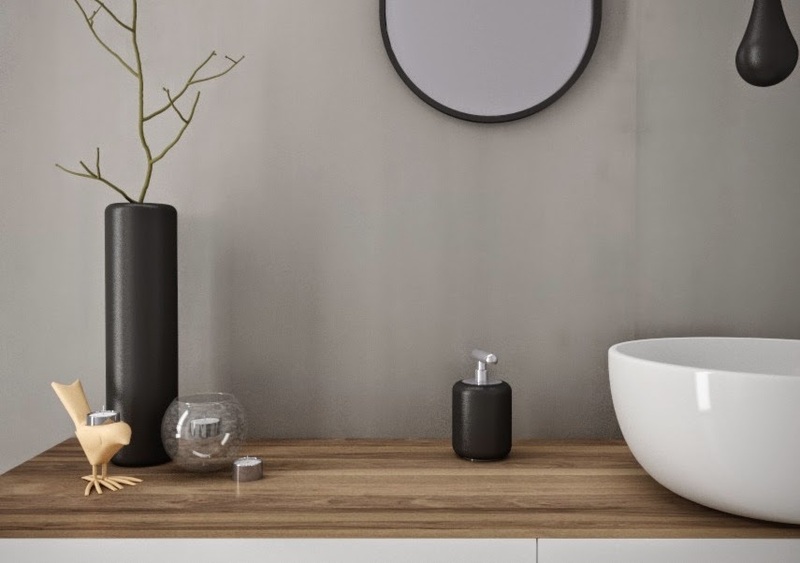 The Minosa range of bathroom furniture with a stunning hand made ceramic washbasin. The walls are finished in polished render and the floor is concrete - Polished. We love this space and the incredible Pytha 3D CAD software has made this bathroom come to life, the ability to design and present to our clients in 3D like this a incredible design tool. Enjoy.